Check-In / Dinner / Social Hour for this event is 6:00pm-7:00pm. PARTNERS: If you have a doubles partner with whom you wish to play, please make sure that you make note of it when you sign up so that you can play together. If you DO NOT have a partner, we will partner you with someone of your playing level, so please make sure that you have your level listed, particularly if you have not been rated at a recent MTG event. Please be aware that while we are happy to pair you with a requested doubles partner, we will not be able to pair you with specific groups. This is a ROUND ROBIN Doubles event. Women are encouraged to attend! Payment is expected when signing up to confirm your spot. If for any reason you cannot pay at the time of registration, please contact the coordinator. Once all spaces are reserved, interested players will be put on a wait list and every effort will be made to allow as many players to participate as possible. Please note: there is a 72-hour cancellation policy. No refunds will be given after Wednesday, September 26 2018. THIS IS A SOCIAL DOUBLES EVENT. We will do our best to pair you with players of same or comparable levels, but we cannot guarantee it. Please remember that this is primarily a social doubles event and therefore the focus is on camaraderie, making new tennis friends and mutual fun and support. This is not USTA League setting. Have fun, be considerate of one another and meet your fellow MTG community! We're thankful for volunteers! 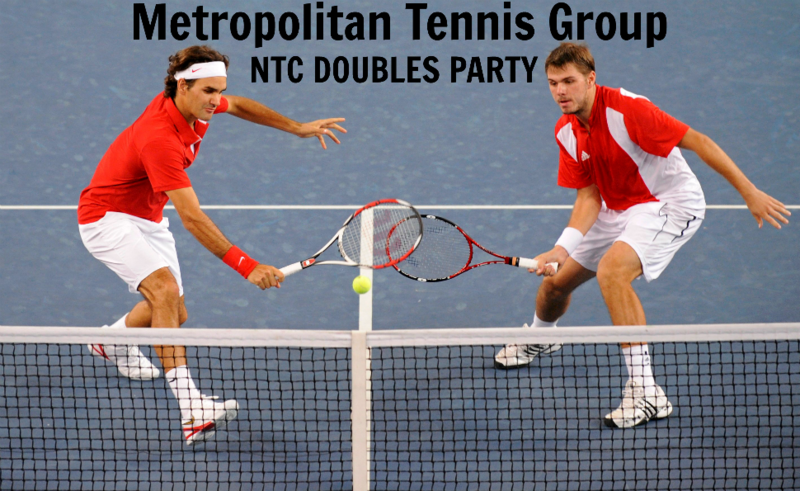 Interested in assisting with MTG's monthly doubles parties at the National Tennis Center? Each month, we will choose one player to assist the coordinator before the party begins and during the social hour. You'll be lending a much-needed hand and getting a glimpse into how the Board works to put on fun and successful events for MTG members. Plus, as a thank you, you'll get to play the doubles party for free! Please contact the coordinator for details. Please make sure you are on time so that we can start on time.